This entry was posted in Releases, Saxoctopus on July 10, 2015 by cath. We’re looking forward to more activity with this music and the quartet! This entry was posted in Madwort Sax Quartet, News, Saxoctopus on August 12, 2014 by cath. 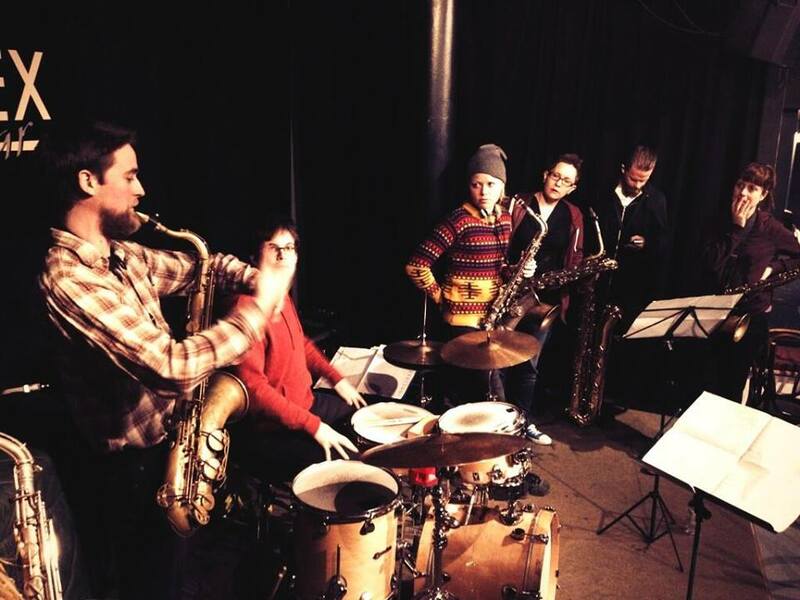 Last night saw the debut appearance of a new ensemble I’m involved in: the Saxoctopus! An all-saxophone octet, the band started life as a joke (hard to believe I know) when eight sax players turned up at a LUME gig. After some banter on social networks, one thing led to another, and before we knew what was happening we had been offered a gig. 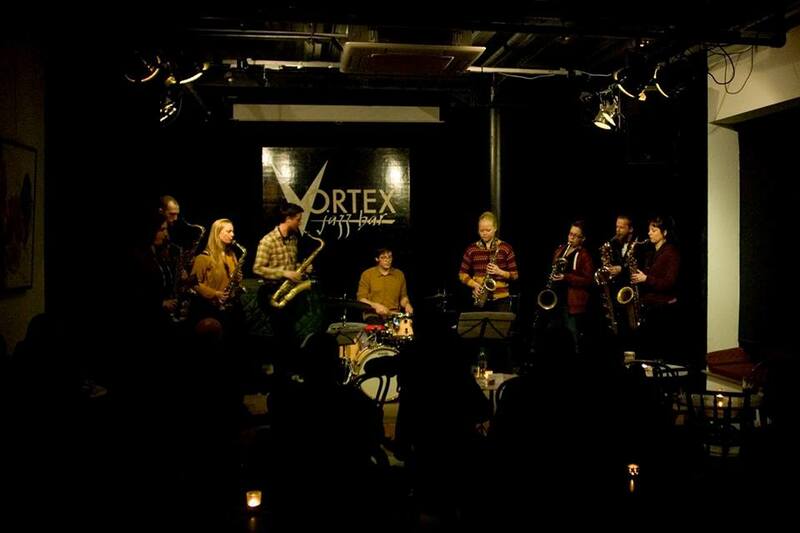 We’ll be putting together the full set ready to play later this year, but last night at the Vortex Jazz Club we got the chance to try things out by guesting with Trio Riot on the first night of their UK tour. Needless to say, it was a total blast! Our cameo was at the end of the night, after two fantastic sets from Wolf Suit and our hosts Trio Riot. The octopus comprises of Colin Webster, Rachel Musson, Tom Ward, Dee Byrne, Julie Kjaer, Sam Andreae, Mette Rasmussen and me. On drums was Trio Riot’s David Meier. The rehearsal: Sam goes through the music with us while Colin checks for urgent messages on his phone. 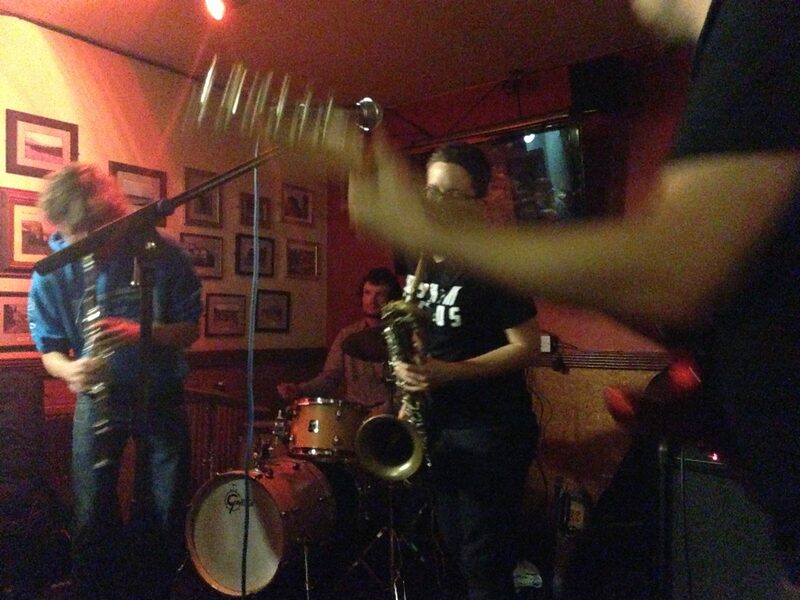 This entry was posted in Gigging, News, Saxoctopus on March 25, 2014 by cath.